Despite easing family planning polices, China’s fertility rate is decreasing. Some local authorities have rolled out policies to counteract the population crisis, but is it too little, too late? According to statistics released by the National Health and Family Planning Commission, 17.86 million Chinese babies were born in 2016, a 7.9 percent rise on the year before, and about 45 percent of them were not a first child. However the moderate spike was short-lived: only 17.23 million were born in 2017, a decrease of 3.5 percent. While some had worried the new policy would trigger a sudden population explosion, the inclination of Chinese families to have more children has proved far less than expected. Statistics from the All-China Women’s Federation indicated that in 2016, only 20.5 percent of families wanted a second, while 53.3 percent were unwilling to have more than one child. The percentage is far higher in Northeast China’s Liaoning Province, where Song Limin lives. There, more than 80 percent do not want a second child. When the one-child policy was still in effect, Liaoning’s fertility rate in 2010 was 0.74, compared with the national rate of 1.18. A rating of 1 means on average, every woman of childbearing age has one child. In 2015 the Liaoning figure was 0.9, compared to the national level of 1.05. 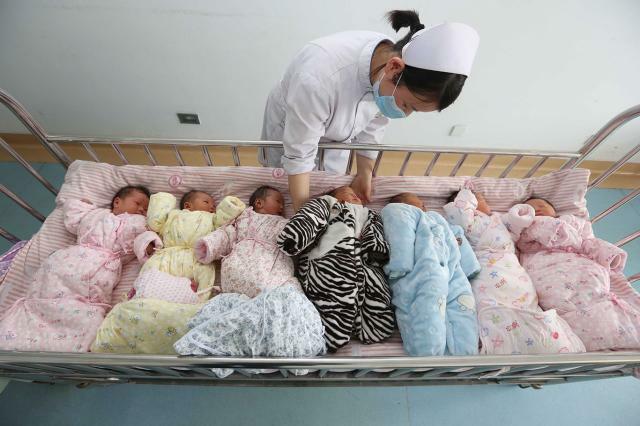 By the measure of birth rate, which plots the number of live births per 1,000 people in the country, Liaoning saw the worst performance in China over the two years since the two-child policy came into effect: with 6.6 per 1,000 for 2016 and 6.49 per 1,000 population for 2017. That’s roughly half China’s general birth rate. Song Limin told NewsChina that once the fertility rate drops below 1.5, it is very difficult to reverse the trend, and it becomes likely a nation will fall into a low fertility trap. Among the over 17 million newborns in 2017, around half were a second child, while the number of first children accounted for just over a quarter. Compared to 2016, the number of second child newborns increased by 1.62 million, while the number of first child newborns decreased by 2.49 million. A number of experts echo Professor Su’s opinion, agreeing the 2016 hike will be temporary, and predicting the number of second children born could soon drop markedly. According to Lu, 40 years of reform and opening-up has resulted in people changing their minds about having children. The young do not subscribe to the mentality of their parents’ generation that having as many children as possible is desirable, but are more open to different types of family unit: single child families, remaining unmarried, entering so-called “naked marriages” (a more frugal way of tying the knot) as well as being in homosexual relationships. The aging issue showed up in Liaoning as early as the mid-1990s. As defined by the United Nations, an aging society is one where 10 percent of the population is older than 60 or seven percent is older than 65. 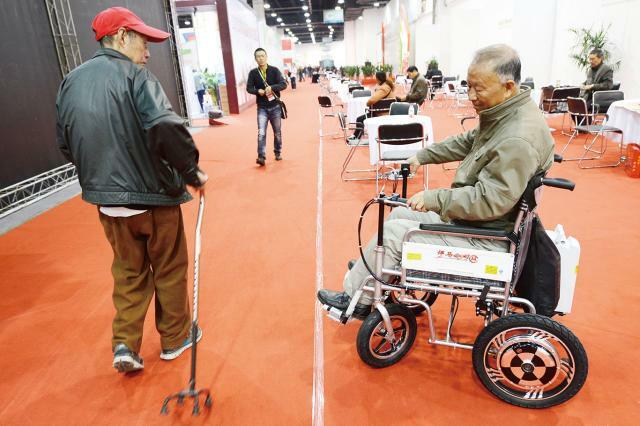 The proportion of over-65s in Liaoning hit 7.02 percent in 1995 – five years earlier than China as a whole. According to official statistics, the population of permanent residents in Liaoning was reduced over three consecutive years, and for the past six years, the natural population growth rate has been negative. In the face of this looming demographic crisis, Song Chunli said that in Liaoning, the retired population has soared in the past decade. By 2017, the proportion of locals over 60 went up to 22.65 percent. From 2015 to 2020, the annual increase is expected to track at around 0.7 percent, and by 2030, the proportion of over-65s is set to rise to 26.9 percent. The peak is projected to come in 2039, 10 years earlier than the national high. That’s why Liaoning’s provincial government has started exploring policies to tackle the problem, Song says. Real planning started last year and according to a government official from Liaoning provincial Development and Reform Committee, the Liaoning Provincial Population Development Plan (2016-2030), which was finalized in June 2018, included stimulation policies for childbirth, such as simplified registration for births, integrating maternity insurance into the healthcare insurance system and improving policies for maternity leave and spousal leave for newborns. whether the subsidies would offset the cost of having more children. Liaoning Social Sciences Academy Vice President Liang Qidong said incentives must be substantial and detail exactly how financial subsidies would be allocated in different situations, how many days would be allowed for extra maternity leave, and whether husbands could access spousal leave too. “If the descriptions in the official policy document are well fleshed out, the policy could have a real effect,” Liang said. In response to this query, a government official from Liaoning Development and Reform Commission conceded that the new incentive plan was a framework that required different government departments to coordinate in setting out detailed policies in the long term. In Song Limin’s opinion, Liaoning Province’s recent plan indicates the government has finally dropped the mindset that they need birth restrictions, so the next step is to turn the plan into practical measures and then implement them. 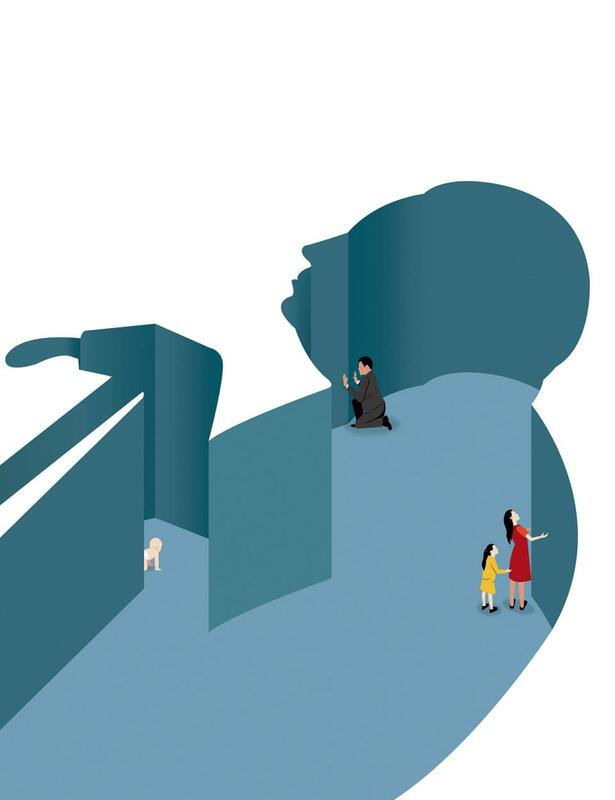 Liang Qidong insisted the way to encourage an increase in births is to completely abandon the nation’s birth control policies, allowing the public real freedom to choose how many children to have. “I believe, within five years, the policy will be completely relaxed,” Liang said. Some experts predict that as the fertility rate continues to dwindle, more provinces will follow Liaoning and enact incentive measures. A common conclusion has been that a smaller population will directly threaten economic growth as well as the provision of pensions, healthcare and social services. Before Liaoning announced incentive policies in July, a number of local governments at the city level had rolled out their own measures. Tianjin municipal government implemented an additional 30 days of maternity leave for families with a second child; Xiantao city in Hubei Province started to provide free basic maternity care services in addition to an extra 1,200 yuan (US$174.4) bonus. Shihezi, a city in the Xinjiang Uyghur Autonomous Region went even further to encourage the second-child policy. In June, it implemented five new policies which improve the length of and bonuses for maternity leave for a second child, as well as offering breastfeeding leave (which allows mothers to return home during the work day to feed their children) of three months up to one year. Before these, Shihezi had already provided tangible financial support for families with a second child, such as subsidies for childbirth and childcare until the age of three. According to a local government official from Shihezi Population and Family Planning Commission, local families in Shihezi can access free services and special care before and after baby delivery up until children reach primary school age. “These policies are to release those parents’ burden in having a second child,” the official told local media in Xinjiang. At present, the National Health Commission has organized an expert team to study the implementation of incentive policies to stimulate the fertility rate and to evaluate their effectiveness. NewsChina understands that the research is scheduled to conclude by the end of this year. Professor Liang Jianzhang from Peking University’s Guanghua School of Management said that ordinary Chinese families were unlikely to regain their willingness to have more children without substantial financial subsidies. Others call for family planning policies to be scrapped entirely to endow real freedom of childbirth. Zhang Juwei, director of the Institute of Population and Labor Economics, Chinese Academy of Social Sciences, said that when China was mapping out its one-child family policy decades ago, authorities only considered controlling the increasing population, and did not envision the advent of an aging society, so from a policymaking perspective, China should reflect upon its previous hasty national political decisions.